In the year since the CIA trained and then unleashed him, Mitch Rapp has dismantled, kill by untraceable kill, the network of monsters behind the Pan Am Lockerbie terrorist attack. 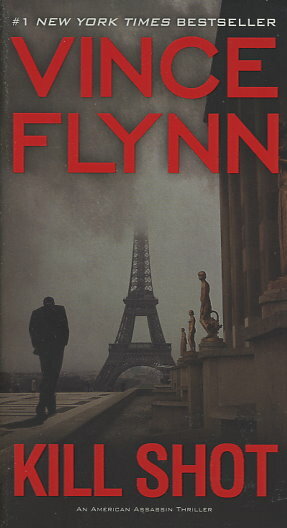 The hunt leads to Paris, where a deadly trap is sprung as the bullet leaves Rapp's silenced pistol -- followed by the discovery of nine bodies, including Libya's oil minister, in one of the city's finest hotels. Washington wants no part of the international crisis, and Rapp is deemed a liability by Stan Hurley, one of his handlers. But as he slips outside their control to operate on his own, it will soon become clear that nothing is more dangerous than a wounded and cornered Mitch Rapp. This is a prequil to the Mitch Rapp saga. Mitch finishes the CIA training and is unleashed on the terrorist group responsible for the Pan Am Lockerbie attack. He's given a list of names of the terrorists and he eliminates them one by one. When he gets the name of his next victim and arrives at his location, something doesn't seem right. After Mitch eliminates the terrorist, the room erupts in gunfire by others who were waiting for Mitch. He barely escapes and wonders if he was set-up. This is a feel good story of retribution where Mitch is accomplishing something that no one else has. He seeks out the terrorists who thought they were shielded from revenge and Mitch eliminates them. He is able to do this by acting outside the law. He does make some enemies inside the CIA because of his success and that he works solo. The action is constant and there are a number of surprises and plot twists. Everything comes together in a satisfying conclusion.